In order to improve the integration of the railway systems, a standardisation in terms of language for communication could be the answer. Photo credit: @BrnoDaily. 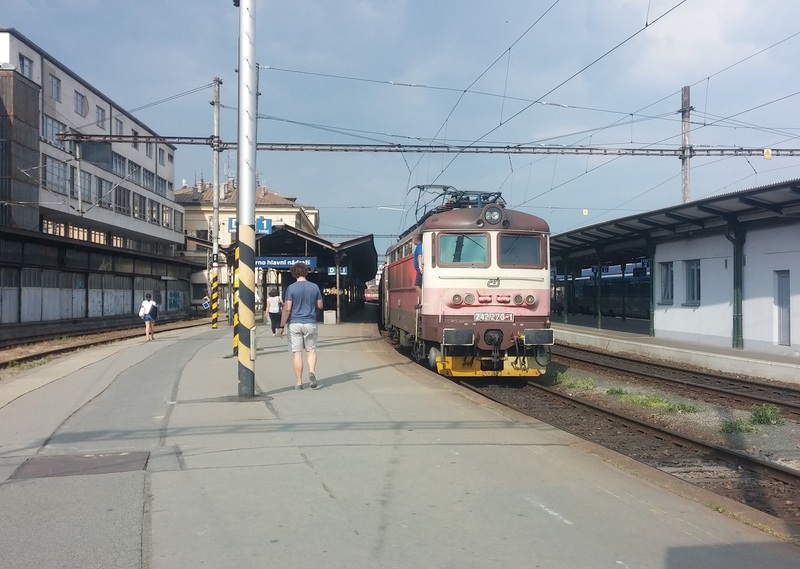 Brno, Apr 17 (BD) – “95 percent of students in Europe are already learning English,” said Carole Coune, Executive Secretary of the European Rail Freight Association (ERFA), said at a rail conference last autumn in Pardubice – according to Czech news source, iDnes.cz. “ERFA believes that a single operational language, English, for international traffic is a necessary step towards an integrated Single European Railway Area, and should be part of the revision of the train drivers’ directive (Directive 2007/59/EC),” according to its official report. Most Czech train drivers take the train to the nearest foreign station, where it will be handed over to local train personnel. This complicates the plans to integrate the European rail network. As a the first step towards better railway integration, the ERFA would like to introduce English as a language of communication in interstate traffic – which would be feasible within three to five years, according to iDnes.cz. “Today, rail faces major competitive disadvantages vis-à-vis other modes of transport – in particular road transport: the fragmentation of the European Union rail network in 26 national rail systems largely undermines the great potential for rail businesses to attract more customers and passengers,” ERFA writes. According to European Commissioner Elisabeth Werner – who is responsible for land transport – the introduction of a compulsory single language is one way in which integration of the European railways will go, iDnes.cz reports. The possibility of using automatic translators appear as an alternative to mandatory English language exams. “It is necessary to explore alternative options to the current language requirements allowing for greater flexibility, but ensuring an equivalent level of safety with the current requirements. Those options could consist in more targeted language requirements (i.e. with focus on rail specific terminology), or to a lower general language level combined with alternative means to support effective communication,” the European Committee writes in its 2018 revision proposal. The conductors who do not have Czech citizenship must currently prove their Czech skills in a test and reach a minimum level of B1 of the European language framework. The Czech Railways accept only one historic exception – drivers from Slovakia can use Slovak at work; similarly the Czech conductors can speak Czech in Slovakia.